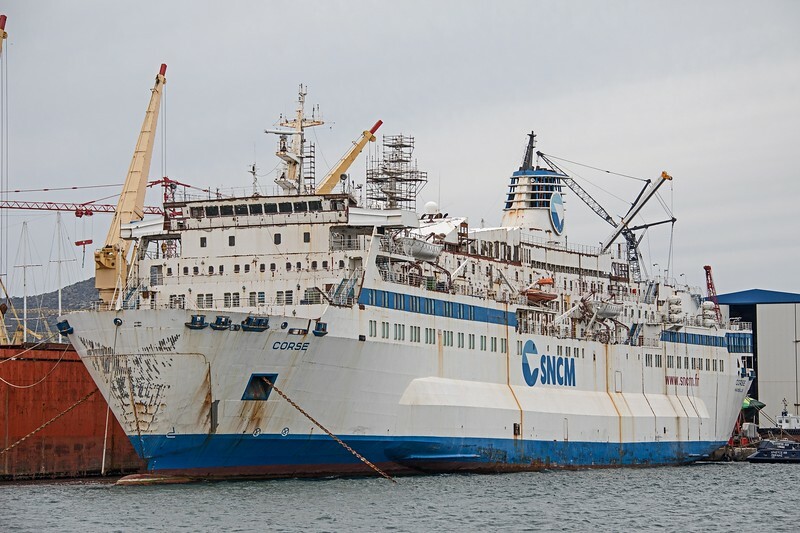 The former SNCM ferry 'Corse' laid-up near Palokia (Piraeus) on 21st April 2017. She was built in 1983 and sailed from French Mediterranean ports until 2016, when she was sold to unidentified owners. Arriving at her current position on 21st March 2016, the future of this 12686 GT vessel seems uncertain.